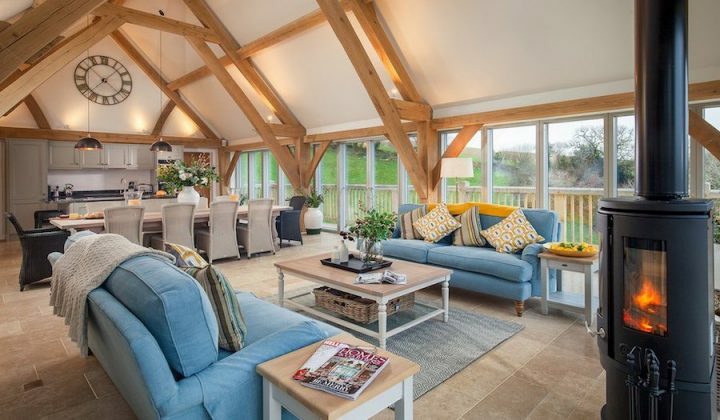 If you’ve been itching to go to Lisbon, read Muddy Sussex’s cracking round up based on a weekend break below – lucky thing. Thanks Debbie. I’d have gone to Lisbon a lot sooner had I realised how late in the year it holds its heat. At the end of October last year I was walking round in flip-flops and it hit 24C! It’s well worth considering for a long weekend, or the upcoming or autumn half term. What I loved about the place is that the city is not just historic, with all those pretty mosaic streets and tiled walls I was expecting, it’s damn cool too. I took so many photos I nearly gave myself RSI. 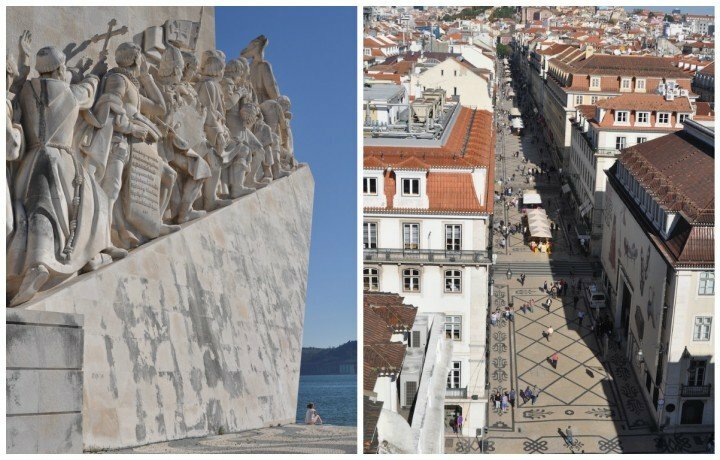 You’ll probably recognise the famous Discovery monuments connected with Portugal’s golden era of global exploration, there’s also the tomb of explorer Vasco da Gama in Jeronimos Monastery, which itself is carved with plants, animals and faces from other lands. There’s a lot more happening on the modern side of things too. 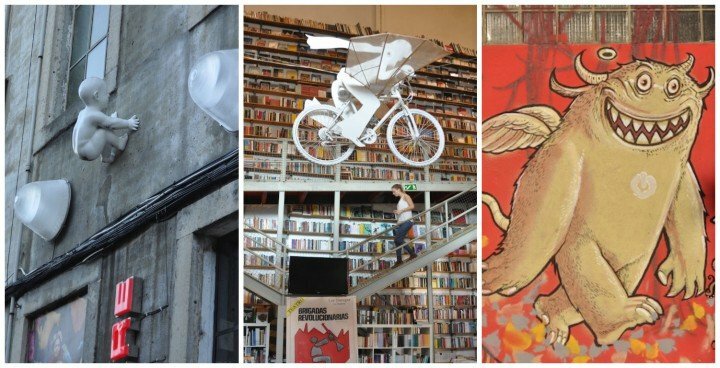 You can see work from the likes of Picasso, Dalí and Warhol in the Berardo Collection Museum and bringing art bang up to date, Lisbon even has a street art department which allocates official graffiti spots. The shopping was a revelation, with some great areas to concentrate your – err – efforts. 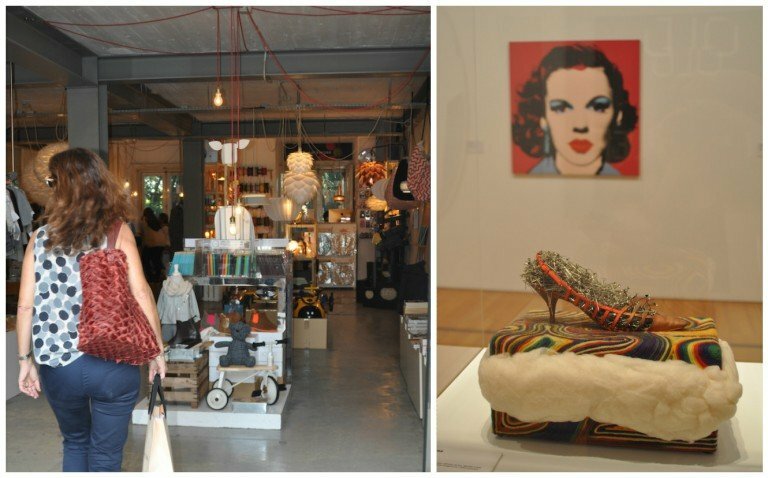 The Príncipe Real quarter has a glut of stylish shops and pop-ups particularly slanted towards homewares and gifts. 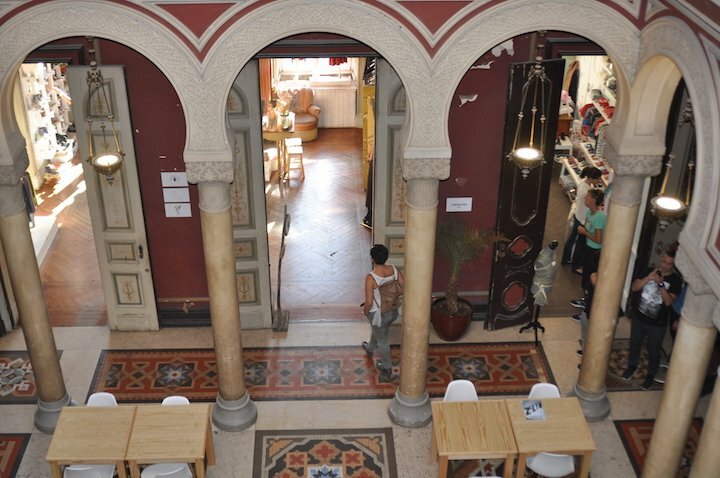 I loved browsing Embaixada, an emporium in a former palace which you enter via a feature staircase that makes you feel you should be wearing evening dress and snogging Leonardo DiCaprio on a sinking ship. 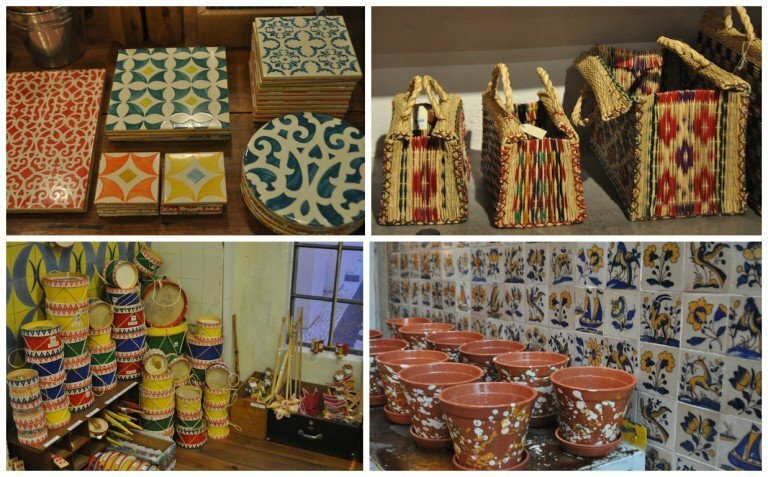 Elsewhere, in an old tile factory, A Vida Portuguesa (Largo do Intendente Pina Manique 23) was founded by a journalist who was so enthused after researching a feature on traditional crafts that she ended up starting a business. I couldn’t stop myself buying various ceramic bits and bobs so my luggage was a whole lot heavier on my return. I particularly loved LX Factory, an area that developed a few years ago on the site of an old printing works. 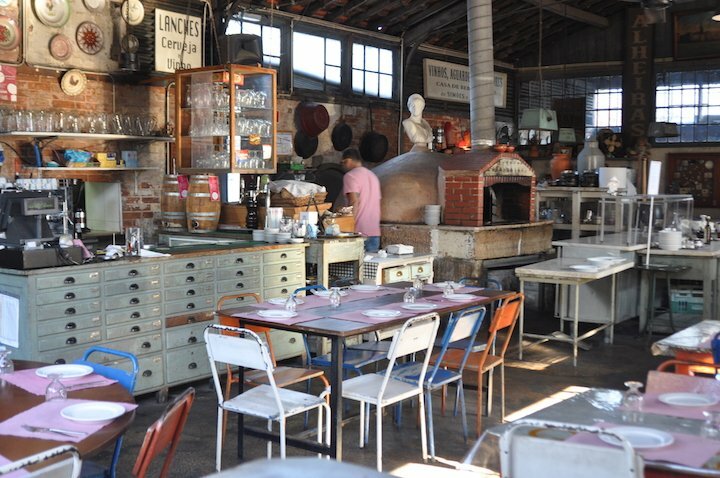 It has cool boutiques, cafes and restaurants, like this Pizzeria filled with recycled furniture. This new bar with knockout river views had just opened when I visited. I had a really inventive lunch at Tasca da Esquina (Rua Domingos Sequeira 41C, Campo de Ourique) including some weird concoctions in jam jars featuring egg and crispy onion, which sounds disgusting but tasted heavenly. This mid-priced restaurant changes its tasting menu regularly and gets a big Muddy thumbs up. By the way, one thing you don’t see as often in Portugal as Nandos would have you believe is African-Portuguese peri-peri chicken. Bear in mind when going out in the old town, stilettos, muddy or otherwise, are a no-no because of the gaps between the cobbles. It’s also worth knowing that restaurants don’t usually open for the evening till 8pm. 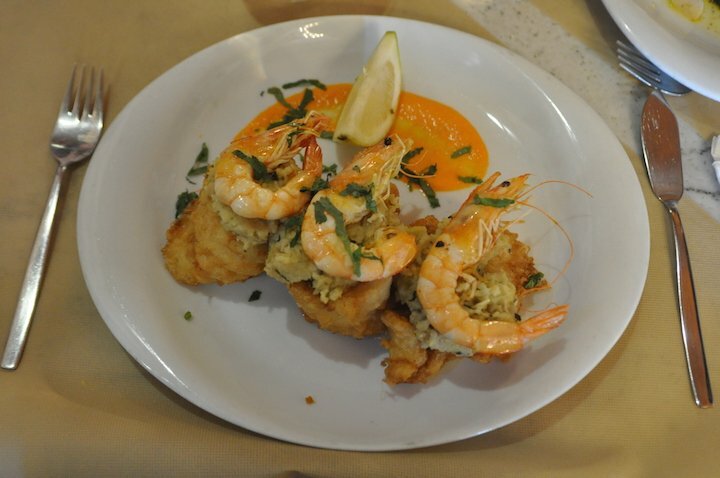 If you want to eat earlier Italian restaurants in tourist areas are a good bet. As is stuffing your face at any of the seriously tempting cake shops. 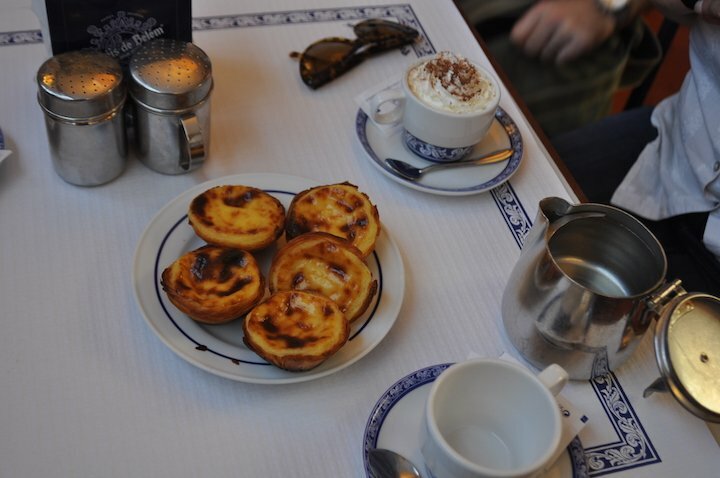 An absolute must-try are the Portuguese custard tarts pastel de nata. They’re the most gorgeous melt-in-the-mouth-filling-with-warm-crackly-pastry combination. If they were so easily available back home I’d need a crane to lift me out of bed within a year. 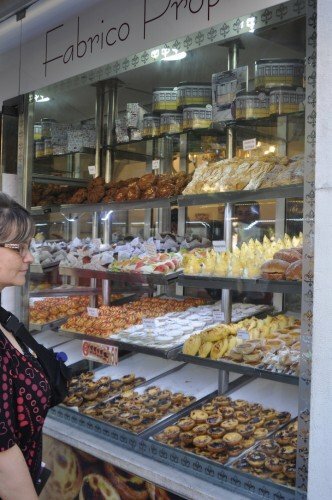 You can pick them up all over town but the most famous place to try them is at Pasteis de Belem near the monastery where they’re made to an ancient secret recipe. Most people want a takeaway so they crowd the entrance excitedly, (I saw some with selfie sticks!) but getting at table inside isn’t too tricky. Don’t miss also the traditional drink kiosks serving a fruit liquor called ginjinha that make downing shots on the street socially acceptable. There’s even a place on the main square that sells it in chocolate cups… in the afternoon. For a drink with somewhere to sit check out ‘Pink Street’ at Cais do Sodre, a semi-cleaned up red light district (think Soho) where the street is painted, you’ve guessed it, pink. I had a cocktail in a former brothel. Going a little classier, I also hung out with a cocktail on the roof terrace on top of Bairro Alto boutique hotel. The bar is open to non-residents but stay there if your budget permits, it’s gorgeous. 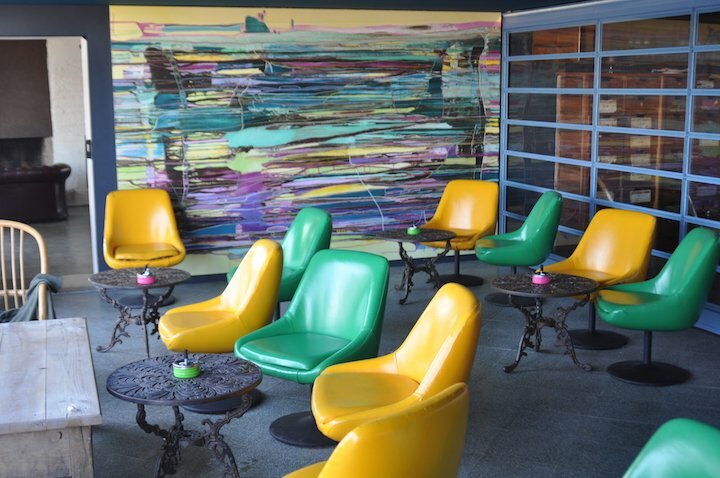 I’ve also heard good things about Inspira Santa Marta hotel. City breaks often get overlooked for family holidays but with the right place they can be a great idea with plenty to do for older children in particular. 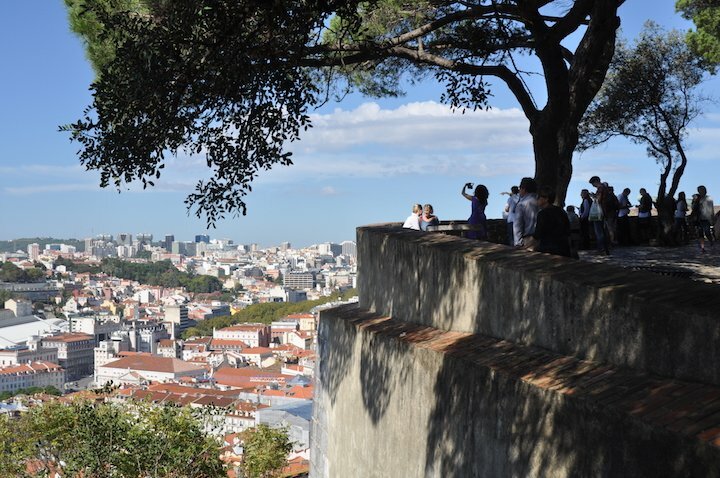 Lisbon has the big advantage of nearby beaches so you can stay on the coast around Cascais and Estoril, do the beach, take dolphin-watching trips and make forays by train into the city. Or, split a break, with city first, beach after. 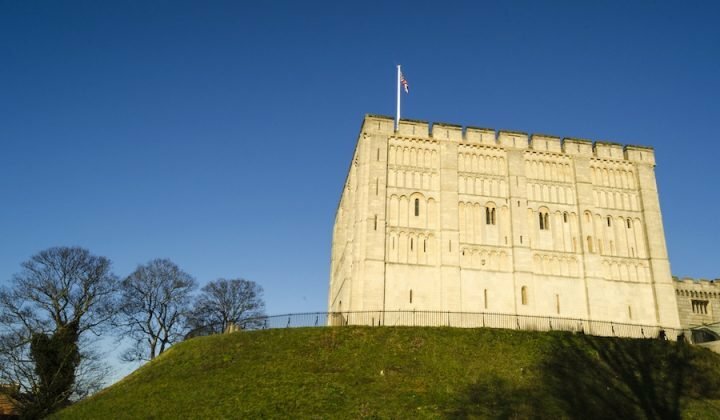 In the city itself take children up to the castle battlements, which have great views. Just note the very uneven cobbles are not great for toddlers (especially if their parents aren’t watching because they’re half cut on the portable wine that’s sold there from little tuk tuk kiosks). Kids will love riding the famous vintage trams. Number 28 does a scenic route (don’t bag the front seats like I did or, you’ll slide off when you go downhill). 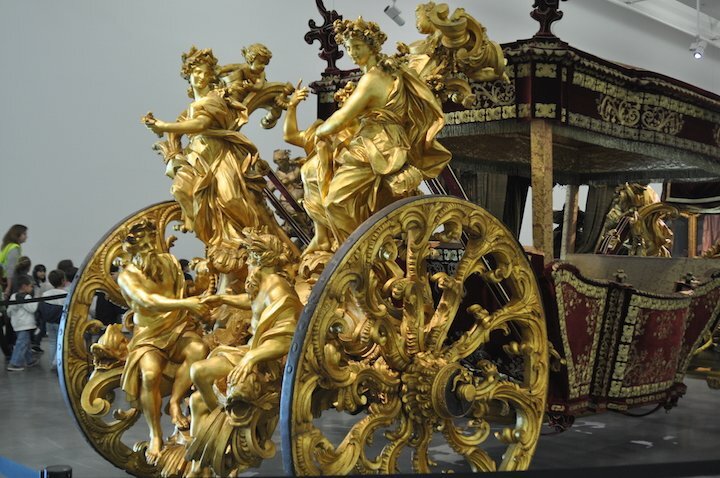 The National Coach Museum sounds a right snore but is actually filled with historic Cinderella-style carriages like this bling-mobile, which was sent to the Pope as Portugal’s way of showing off about its navigational exploits. For the less fairytale-minded there’s also a carriage with bullet holes from the assassination of King Carlos I and his son in 1908. If children have studied the Discovery era at school they’ll get a bit more out of the various monuments, meanwhile, Lisbon’s aquarium – the second largest in Europe – is a fantastic place. There are sharks in the main tank but I couldn’t take my eyes off the huge sunfish which look like half deflated lilos. There’s a whole lot more in smaller themed areas, including colourful frogs. 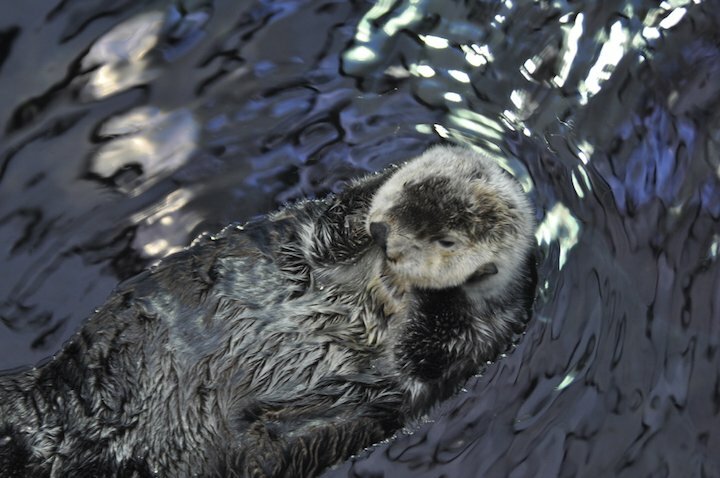 The super cute sea otters alone are worth the entrance fee. The LX district mentioned above is also a good place to hangout with kids for lunch and a browse. There are so many quirky things to look at including mad professor style inventions upstairs in the Ler Devagar bookshop that it’ll be a while before they cotton on you’ve actually taken them shopping.